The author engine is free to download and use. Any number of tests may be created using author engine. There is no limit on the number of questions in a particular test. Exam Engine provides the platform to administer exams to the candidates. 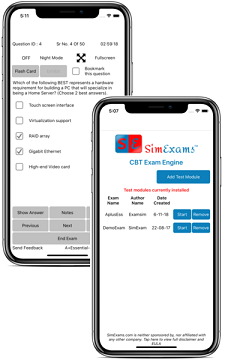 Typically, the examiner imports the previously saved test module(s) and re initializes the exam engine. The exam engine is packed with several features. 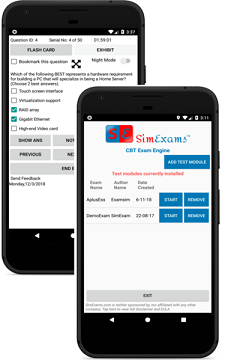 Exam Engine is available in demo mode for assessing the usefulness of the software to a given requirement.